Courtesy of Sustainable 19125Are you a resident of the Port Richmond, Fishtown or Kensington area who wants to see your community become the greenest zip code in Philadelphia? By signing up to be a Green Guide through Sustainable 19125 (a partnership among community residents, businesses, non-profits and for profit partners aimed at creating a greener community) you can be a part of a sustainable activism movement by leading other members of your community towards taking practical steps to making your neighborhood cleaner, safer and greener. What is a Green Guide? Green Guides are similar to block captains in the sense that they are responsible for gathering residents on their block to sign up for various sustainable efforts like, rain barrel workshops, planting and learning about how to care for street trees and informing residents about basic sustainable principles in regards to living in an urban environment. When you sign up to be a Green Guide, you will be asked what you would like to see changed on your block. You will then be able to design and implement a program that will address that change and suit you and your neighbors. You will be supplied with posters, resource guides and sign-up sheets for workshops that you can take door-to-door. Don’t miss this opportunity to join Sustainable 19125 as a Green Guide and make a difference in your neighborhood. 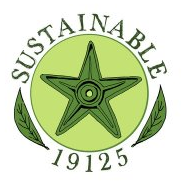 If you are interested in becoming a Green Guide, or want to know more about it, email sustainable19125@gmail.com or call (215) 427-0350x125 or 104.